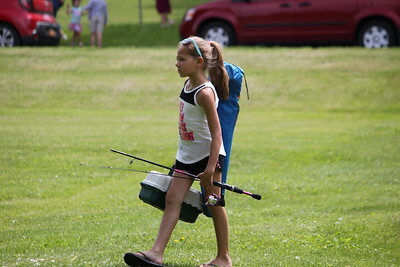 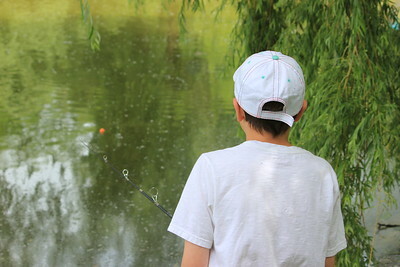 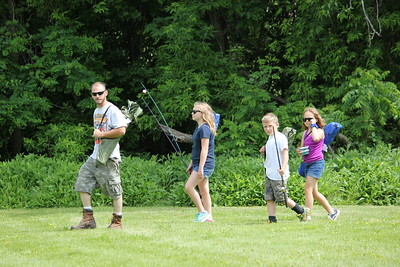 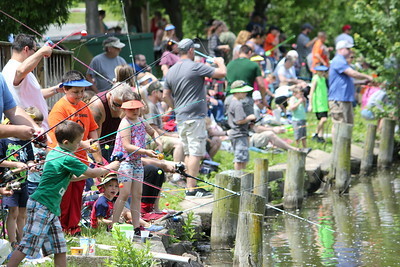 Charles Pritchard - Oneida Daily Dispatch Children of all ages try to prove their skills as an angler at the 68th Annual Sherrill Kids Fishing Derby on Saturday, June 9, 2018. 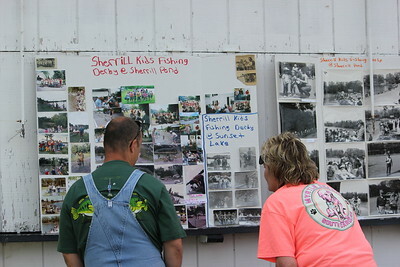 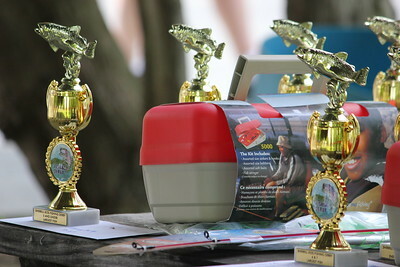 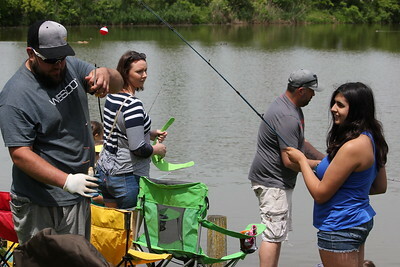 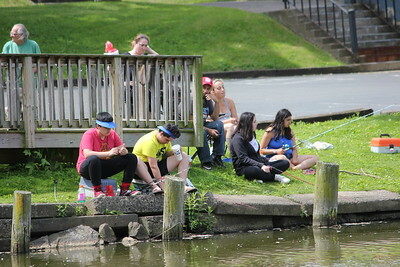 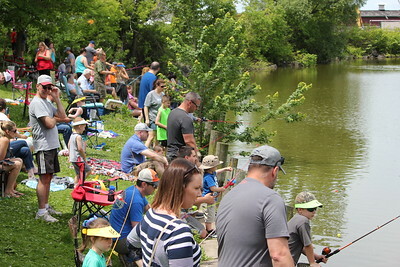 Charles Pritchard - Oneida Daily Dispatch People view the previous anglers and winners over the years at the 68th Annual Sherrill Kids Fishing Derby on Saturday, June 9, 2018. 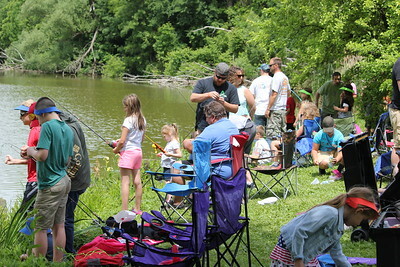 Charles Pritchard - Oneida Daily Dispatch Trophies and prizes of all kinds are up for grabs at the 68th Annual Sherrill Kids Fishing Derby on Saturday, June 9, 2018. 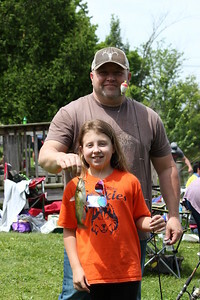 Charles Pritchard - Oneida Daily Dispatch Kenidi Bloss, 9, and her father Scott show off their catch at the 68th annual Sherrill Kids Fishing Derby on Saturday, June 9, 2018. 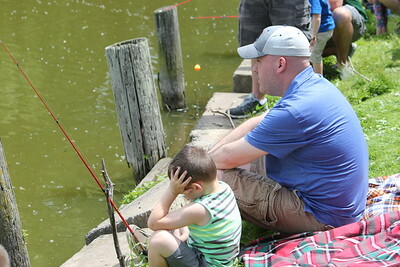 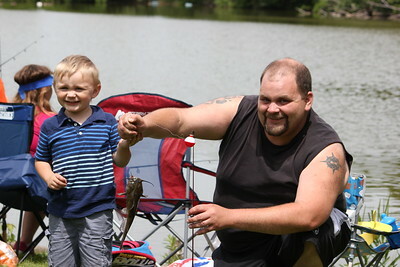 Charles Pritchard - Oneida Daily Dispatch Joshua Arvidson, 3, and his father Adam show off Joshua’s fish at the 68th Annual Sherrill Kids Fishing Derby on Saturday, June 9, 2018. 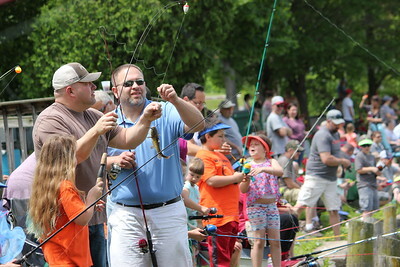 Charles Pritchard - Oneida Daily Dispatch Jasmin Smith, 13, of Vernon Center has her fish measured by on the judges at the 68th Annual Sherrill Kids Fishing Derby on Saturday, June 9, 2018. 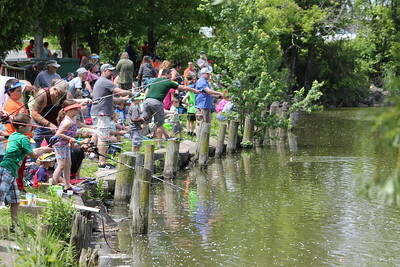 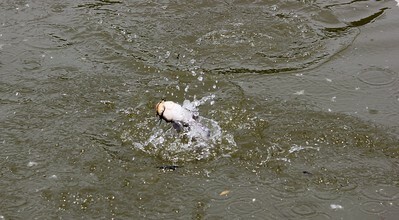 Charles Pritchard - Oneida Daily Dispatch A bullhead breaches the water as a young angler reels it in for the 68th Annual Sherrill Kids Fishing Derby on Saturday, June 9, 2018.